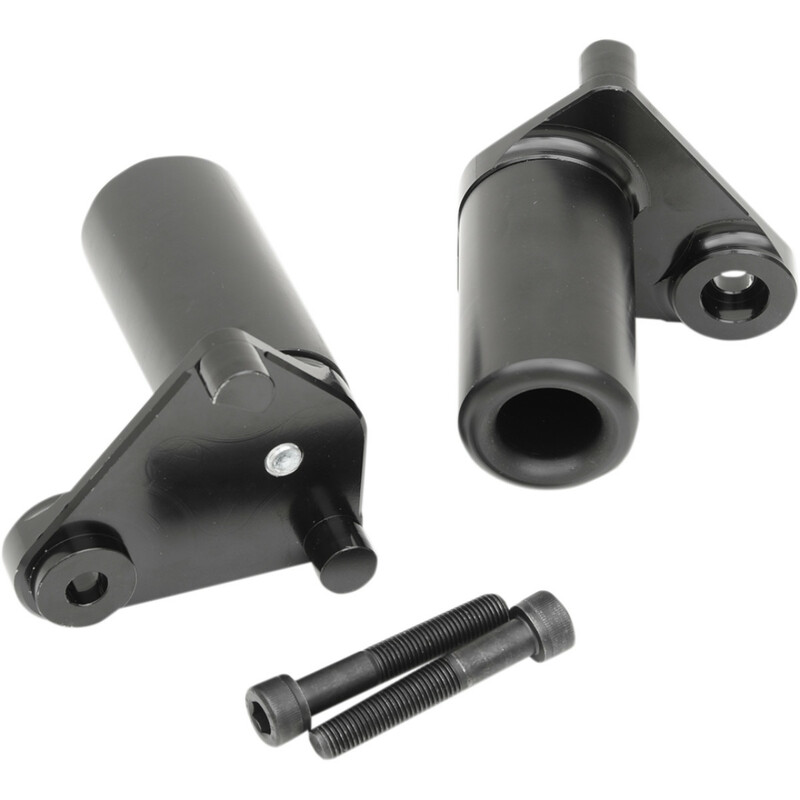 The frame sliders are to be mounted to your upper fairing mount bolts. Refer to your service manual before performing this installation. Simply remove your side fairing mount bolts (6mm) and install sliders with bolts supplied in the kit. Both sides are the same. Always torque bolts to factory specifications.